One thing setting Dave Arbogast apart is our dedication to specialty conversion vans. 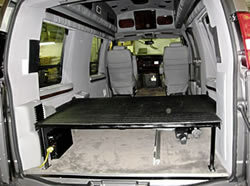 Unlike many other dealers, Arbogast has an entire sales and service department dedicated to conversion vans. 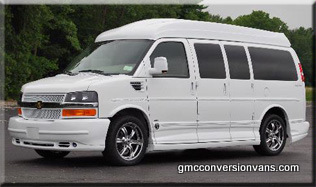 With more than 75 new and used conversion vans in stock we are by far the largest van dealer in the United States. Dog Show Conversion Vans are one of the specialty vans we enjoy creating. Over the years, we have shipped dog show vans all over the world. The sky is the limit when creating your own custom dog show van. The Arbogast team can help you design your van and ship it to your home. We can also fly you into your local airport for an on-site demonstration of your new van. Don’t settle for average. Your dogs deserve the best! Call one of the experts at 1-866-975-3287 to start the design process.